EA’s biggest game title yet, Battlefield 4 multiplayer has performance issues that are being solved by the publisher. 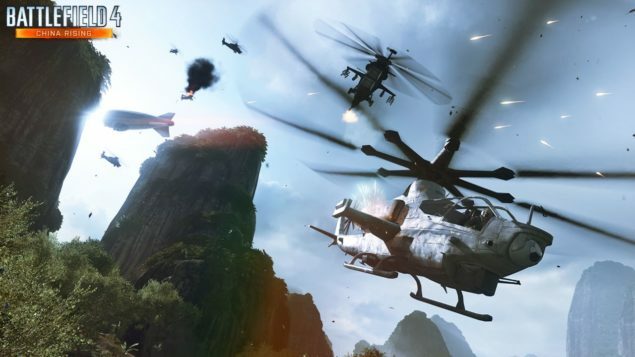 To keep the multiplayer alive, EA has released Battlefield 4 China Rising DLC. The expansion pack features a lot of new stuff for the game that could prove helpful in the competition against Call Of Duty: Ghosts. Battlefield 4 China Rising DLC is first expansion pack for the game, next DLC for the game would be Second Assault. EA is busy fixing multiplayer bugs of the game but the publisher is also working on providing more content to the players, the Battlefield 4 PlayStation 4 patch that was secluded to release on December 3 has been delayed by EA, the patch was supposed to fix the performance issues of the game. In the meantime, EA has something new to keep the players busy in the game, the publisher has finally released the Battlefield 4 China Rising DLC expansion pack. The DLC includes new maps, vehicles, air superiority game mode and much more. Watch the trailer below. 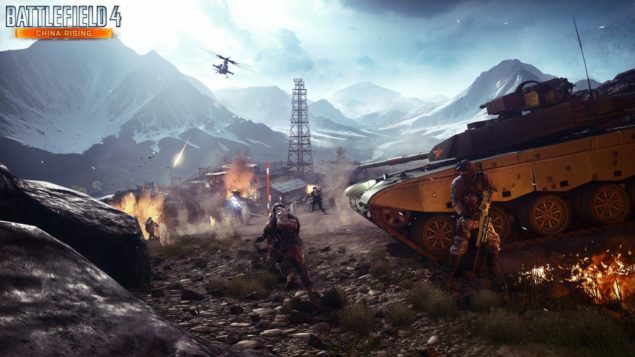 The Battlefield 4 China Rising DLC would play an important role in improving the game’s performance and delivering more to the players, considering the fact that 65 percent of the players do not play the single-player campaign and go straight to multiplayer of the game. Battlefield 4 China Rising DLC right now is only available to the members of Battlefield 4 Premium, membership club that costs $50. The DLC is free for the Premium members. Non-Premium members would be able to buy the DLC for $15 when it comes out on December 17. Battlefield 4 China Rising DLC includes four new maps namely, Altai Range, Dragon Pass, Guilin Peaks and Silk Road. The maps, just like the game, are designed with EA’s Frostbite 3 game engine. 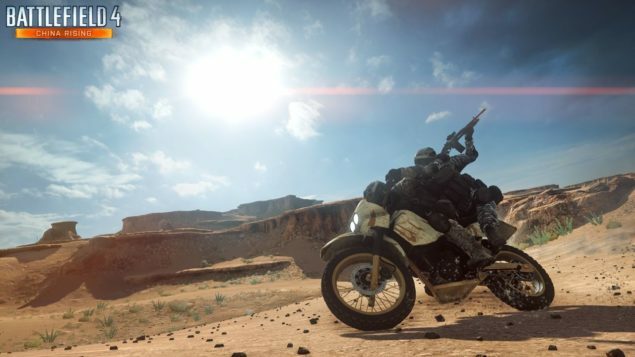 The expansion also includes five new weapons and two new land and air vehicles, one of which is the dirt bike from Battlefield 3: End Game. The expansion also comes with two new military class gadgets one of which is an unmanned combat aerial vehicle (CAV) that could be used by the players that are of support-class while the other one is a small-unmanned aerial vehicle (SUAV) that would be helpful to the recon-class players. The game expansion would also come with 10 new assignments with their own unlocks and the expansion will also feature a new air superiority game mode.